Body Lingo Beauty Therapy and Day Spa has been established since 2001. Our professional and friendly team offer a variety of beauty and relaxation services from your head to toe. Our Beauty Therapists are highly trained and specialize in all aspects of eyelash extensions. 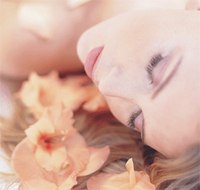 At Body Lingo eyelash extensions have been a popular treatment since 2004. Back then very few knew just how good they were, but the secret is out! Eyelash extensions will enhance the length of your natural lashes. Individual eyelashes are added to your natural lashes, there is no need to wear mascara ever again! Have that glamorous look without even trying! To speak to our qualified therapists for more information please call 9807 9886.